We organize excursions to West Kilimanjaro as tailor-made-tours only. Please contact our travel consultants for a bespoke itinerary. 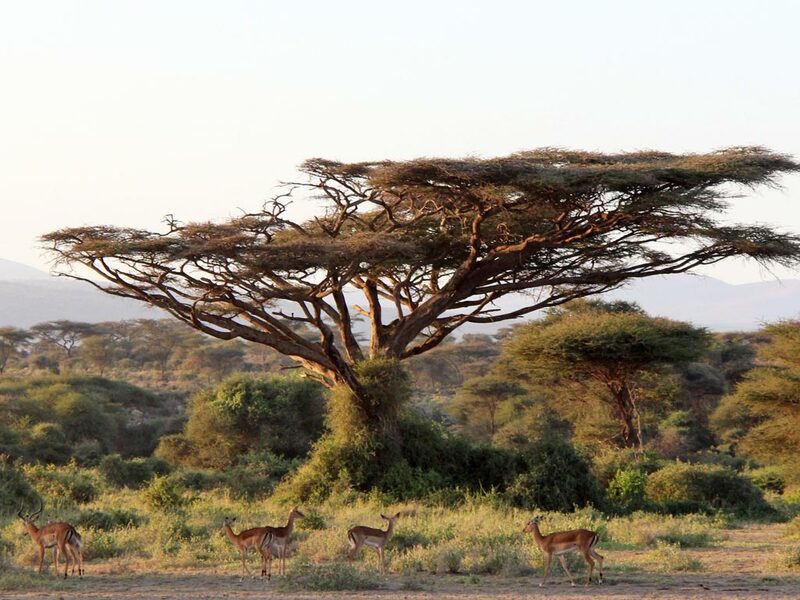 West Kilimanjaro in northern Tanzania is bordered in the north by the famous Amboseli National Park in Kenya, in the east it is shadowed by the majestic Mt Kilimanjaro and towards the southwest lie Arusha National Park and Mt. Meru. 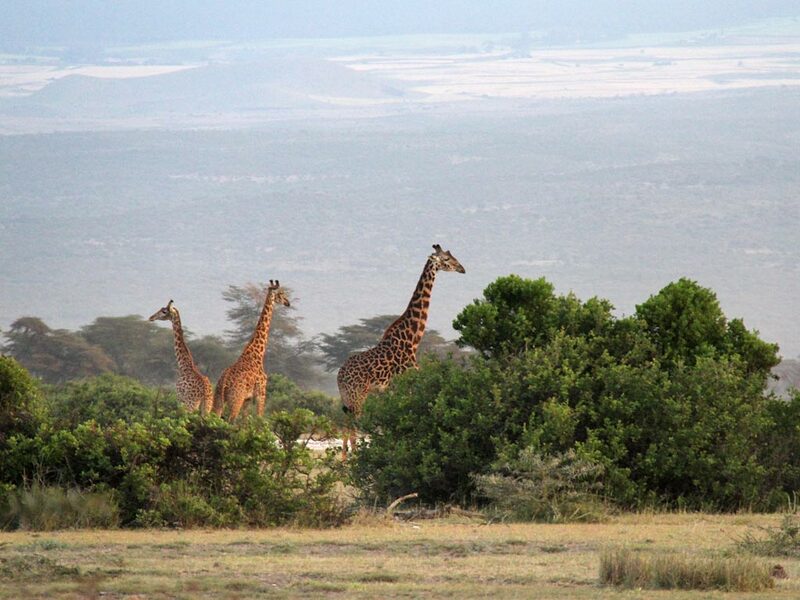 The area is home to the nomadic Maasai people who live with their cattle among the wildlife. 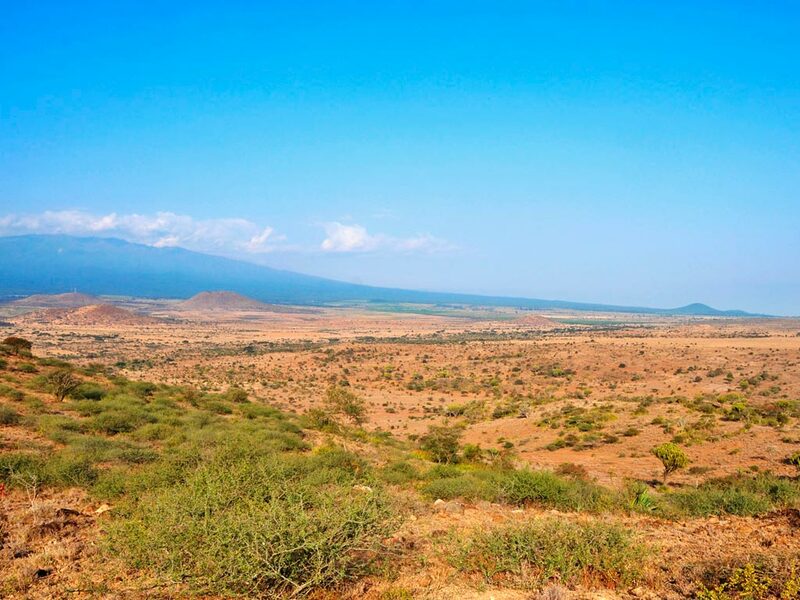 Most of the area is made up of open savannah, mineral-rich flat pans, acacia woodlands and flat grass land and there are several small mountains that range in height from 1000m to 2000m. 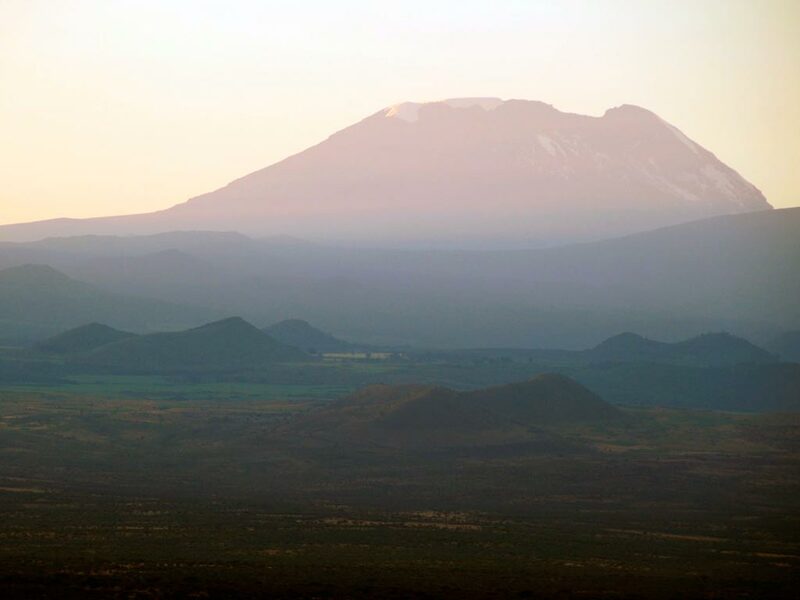 West Kilimanjaro at first seems barren and does not have the same animal density as in the national parks but promises adventures nonetheless. The whole area is considered an important wildlife corridor, used especially by elephants coming down from Amboseli National Park in Kenya. They walk to Mt Kilimanjaro and Arusha National Park. These elephants of west Kilimanjaro are amongst the finest specimens in the country. Wildlife commonly seen in the west Kilimanjaro area includes buffalo, giraffe, gerenuk, impala, warthog, zebra, wildebeest and lesser kudus. Predators are shy, however the area is known to have hyenas, jackals, leopards, cheetahs and occasionally lions. Thanks to the conservation efforts the big cats are returning to the area. The rich birdlife in West Kilimanjaro makes for great birdwatching. Some of the notable species are Masai ostrich, kori bustards, crested francolins, white headed buffalo weavers, tawny eagles and white-bellied go-away birds. Of course your bird checklist will fill up quite quickly during your stay. Walking safaris are a great way to get up close to the local flora and fauna and at West Kilimanjaro visitors can hike with a Masai warrior, exploring the plains and woodlands. From the western side the view of Mt. Kilimanjaro is absolutely magnificent. Unlike other wild areas in Tanzania, visitors in West Kilimanjaro are allowed to do night game drives. Even though game drives during the day are special, to go out at night adds a totally new perspective to a safari experience. It is also the best opportunity to see the nocturnal animals which are not seen during the day. Cultural tours are possible too; visit a Maasai boma and experience how this tribe live. 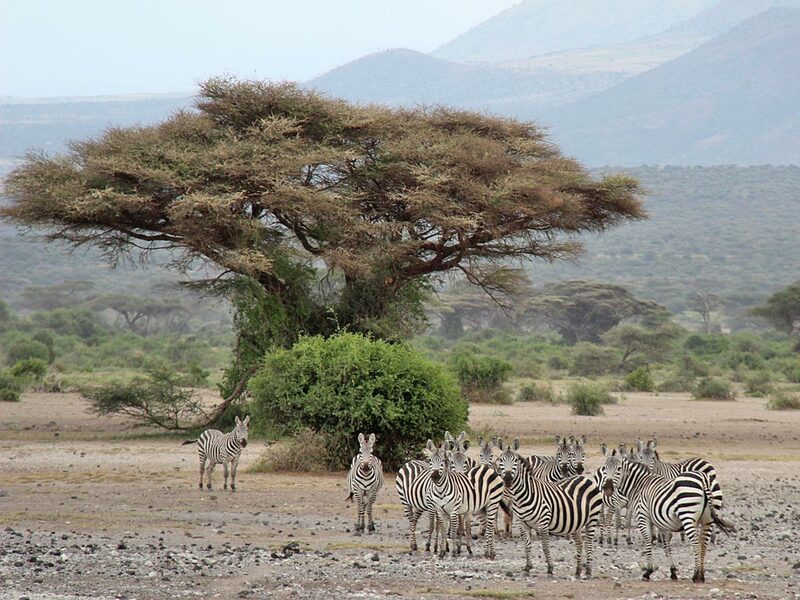 For those wanting to get an even more unforgettable experience why not spend one night at a Maasai boma and get a sense of how this semi nomadic tribe live and co-exist with nature. 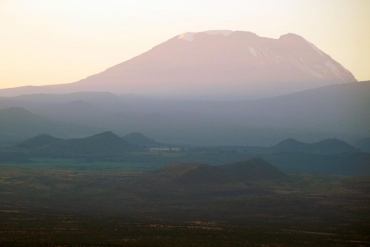 West Kilimanjaro has a huge potential, there are currently up to 2000 Maasai’s living in the area and the local authorities are trying to work with them to help with conservation efforts as well as setting up anti-poaching units.